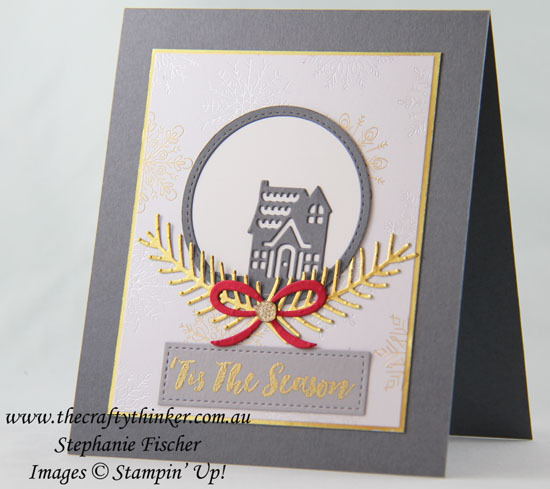 Here is a quartet of simple but festive Christmas cards using the Hometown Greetings dies. The card below was the first I made and has slightly different dimensions to the other three. All of the cards followed a few basic steps. 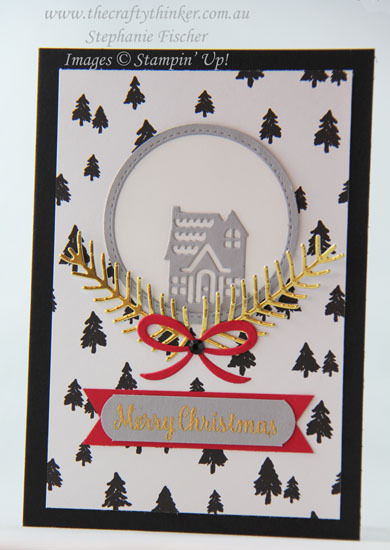 I cut circle of Whisper White cardstock. Using a Stitched Shapes circle of similar dimensions and a slightly smaller Layering Circle die, I created a narrow edge of Basic Grey. 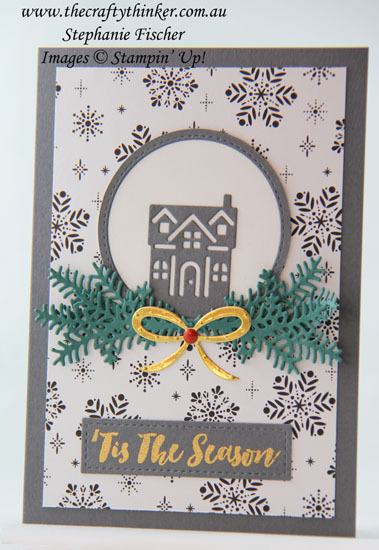 With Basic Gray cardstock, I cut just one of the houses with the Hometown Greetings die. I glued the house to the white circle and glued the Basic Gray edge on top. Added some foliage cut in either Gold Foil Sheet or Tranquil Tide and using either a die from the Christmas Staircase or Pretty Pines die sets. 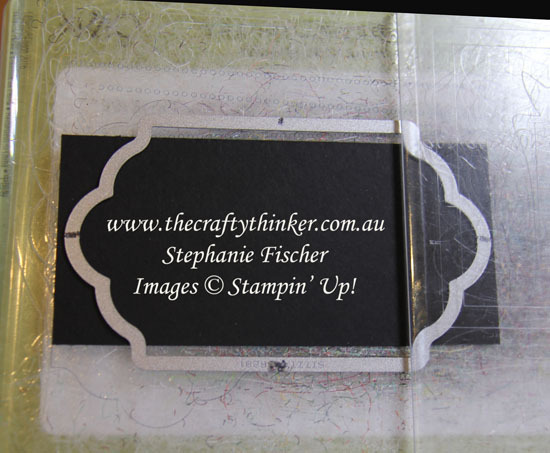 I used one of the square Stitched Shapes framelits to cut the rectangular shape for the greeting. The banner on this card is a little different. I cut the red layer at both ends with the Triple Banner Punch. The Smoky Slate layer is cut with one of the Lots of Labels dies (see below) and then trimmed to slightly wider than the greeting.